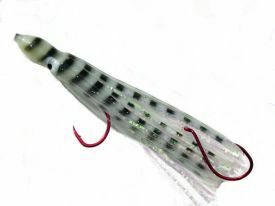 Hoochies :: Pookie Hoochie-Good Vibrations~Glow - Great Lakes Tackle Supplies, meat rigs, cut bait, herring strips, whole alewives, frozen bait. 01/15/2018 New! Familiar Bite 2018 Whip 13"